Improving Wisely, an initiative developed by clinicians at Johns Hopkins University School of Medicine, uses physician metrics to promote high-value care. Martin Makary, MD, MPH, an expert in patient safety who has written widely about clinical outcomes, leads the project along with a team of clinicians, implementation scientists and data analysts. Heidi Overton, MD, who leads quality metric development and Christine Fahim, PhD, who leads intervention design and implementation, share how Improving Wisely can promote appropriate health care delivery. What was the impetus for developing the Improving Wisely program? We have a crisis of appropriateness in health care today. Traditionally, research exploring unwarranted clinical variation has been at the patient or hospital level, with less focus on physician-level variation. However, interventions to address group-level variation (e.g., a feedback letter to a hospital unit), provides little incentive for ‘outlier’ physicians to modify their behavior. In 2015, the Centers for Medicare and Medicaid Services made physician-level identifiers available in their data. Seeing real-time physician practice patterns was eye-opening, and revealed significant, and potentially dangerous, variation in health care. In response, we created the Improving Wisely initiative, which provides individualized-feedback to physicians to promote appropriate care. There are three steps to the Improving Wisely program. First, we partner with field experts to create physician-level metrics that represent areas of unnecessary care. Second, confidential, individualized, benchmarked performance reports are sent to physicians. Each report depicts the individual physician’s practice patterns, as compared to the national mean and/or clinical guideline boundaries of appropriateness. Educational resources and coaching calls are offered to supplement the reports. Finally, we evaluate the impact of the intervention, inviting feedback from participants. The intervention is iterative, meaning we use feedback from experts and participants to continuously refine our metrics, feedback reports, and educational resources. The mission of Improving Wisely is to promote high value, high quality health care using a data-driven approach to identify and intervene on areas of overuse, underuse and misuse. Further, we want to be a resource for physicians and professional societies seeking to improve performance in specific areas. 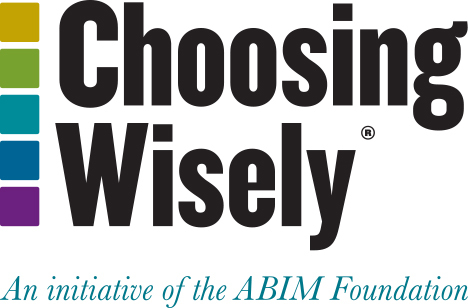 How was the Choosing Wisely campaign instructive in developing this program? We are inspired by the national and international impact that Choosing Wisely has had on health care. Choosing Wisely initiated much-needed conversations about appropriateness and resulted in significant changes in routine care delivery. We aim to build on the foundation of Choosing Wisely by using granular data to identify waste metrics at a physician-level and provide meaningful feedback directly to physicians. What has been the membership response to your project with ACMS? The American College of Mohs Surgery has been a wonderful partner, and ACMS leaders have been committed to sharing data in the spirit of quality improvement and peer-based collaboration. To date, the response from members has been overwhelmingly positive. In a survey including 70 percent of ACMS membership, 93 percent indicated that they found value in seeing their procedural data compared to national benchmarks and 88 percent were supportive of the initiative. We are in the process of conducting in-depth interviews to further explore members’ perceptions. Why does benchmarking performance among peers have an impact on health care delivery? In health care today, a physician can practice as an outlier and never know how their practice compares to their colleagues. Improving Wisely uses physician-endorsed metrics to identify physicians who are outliers, and provides feedback in a non-punitive manner. The Cochrane Effective Practice and Organization of Care (EPOC) group’s latest systematic review of audit and feedback interventions, which included over 140 randomized trials, demonstrates that audit and feedback is effective for improving physician variation. Collectively, physician-level changes stimulated by the Improving Wisely reports can significantly reduce waste in the U.S. health care system. What are the next steps for Improving Wisely? We will continue to work with field-experts and specialty societies to develop physician-endorsed metrics that define appropriate health care use. We are currently expanding our intervention to areas of overuse, underuse, and misuse in medical and surgical procedures, screening and diagnostic imaging, and prescribing patterns. Dr. Markey, a member of the National Academy of Medicine, is a surgeon and professor of Health Policy & Management at Johns Hopkins and has published over 200 peer-reviewed original scientific articles. 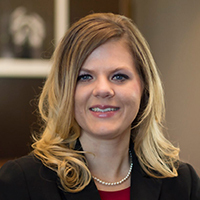 Dr. Overton is a general surgery resident at Johns Hopkins Hospital and PhD Candidate at the Bloomberg School of Public Health. Other team members include: Dr. Christine Fahim, PHD, MSc, an implementation scientist who co-leads intervention design, implementation and evaluation; Dr. Peiqi Wang, MD, MPH, the IW lead analyst responsible for all Medicare data analysis; Dr. Caitlin Hicks (MD, MS; Vascular Surgery) and Dr. Emily Boss (MD, MPH; Pediatric Otolaryngology) provide clinical expertise.